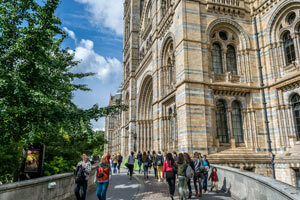 Visiting London for the first time can be daunting: historical attractions, beautiful open spaces, high-end shops and important landmarks; there is so much to do and see, it is hard to know where to start. Fear not as we’ve put together this handy guide to help you discover the best attractions in London if you’re a first-time visitor to the Capital. 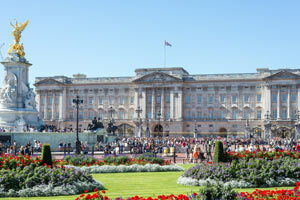 Buckingham Palace is the go-to place for anyone setting off on their first tourist adventure. The 18th-century palace features 775 rooms and is the official residence of Queen Elizabeth II. While you may not be afforded a glimpse of the Queen in her quarters, seeing Changing of the Guard is the main reason why people flock to the palace. It is a popular ceremony where the old guard hands over responsibility for protecting Buckingham Palace and St James to the new guard. Make sure you check the times before you visit as times vary according to seasons and the famous British weather. One of the most popular tourist attractions since it opened in 2000 is the London Eye, a giant Ferris wheel offering spectacular views over the Capital’s skyline. Located on the South Bank of the River Thames, the wheel is 443 feet and is the world’s largest cantilevered observation wheel. Opening times vary, with the summer months providing the longest opening hours. It’s not the cheapest thing to do but well worth it particularly on a day when visibility is good. For such a built up city, London has a vast selection of impressive parks and open spaces. There are eight Royal Parks in the Capital, with Hyde Park being the most famous and centrally located. In fact it is just moments away from the Space Apart Hotel and offers 350 acres of open space, as well as activities such as boating along the Serpentine and horse riding. Hampstead Heath is also worth a visit. People come from all over London to visit the Heath, which is London’s largest parkland situated just 2 miles from the West End. There are over 790 acres of meadows, scenic trails, woodlands and hilltops which afford sweeping views of the London skyline. If you have the time, Richmond Park is another popular open space to visit. 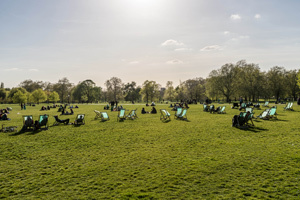 Located on the fringes of South West London, in the borough of Richmond, the park is not as centrally positioned as the Heath and Hyde Park, yet is one of London’s most important parks thanks to its status as a national reserve. It is also the second largest in the Capital measuring 2,360 acres, and is famous for the deer who roam the open spaces. Officially called The Palace of Westminster, the Houses of Parliament enjoy a status as one of the most iconic buildings in London. 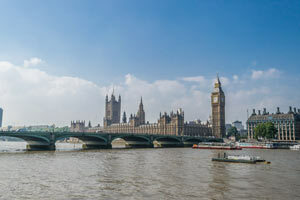 Accompanied by the Elizabeth Tower (more commonly referred to as Big Ben, which is actually the name for the bell in the tower), these two landmarks sit alongside each other and are must-see attractions. There are tours available, however, it is free if you just want to take a picture of the impressive exterior. We recommend going at night when the buildings are lit up reflecting beautifully over the River Thames. No visit to London is complete without a bit of retail therapy. 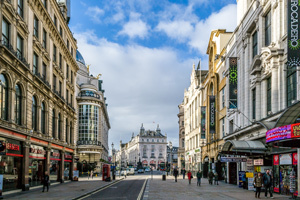 The best place to start is on Oxford Street where there are plenty of shops, including Selfridges, a high-end department store, and the iconic HMV. Bond Street provides designer boutiques, while Piccadilly Circus features the famous statue of Eros and the iconic advertising hoarding. Kensington and Knightsbridge are also highly recommended with their boutique shops, Michelin-starred restaurants and Harrods and Harvey Nichols in Knightsbridge, two of the world’s most famous department stores. As far as restaurants go, the choices are endless with cuisines from all over the world available in the West End. Whether you’re dining in a high-end restaurant owned by Gordon Ramsay, or enjoying a quick snack at one of the many independents, there’s something for everyone. The selection of eateries is so vast, it is best to walk around, finding places as you go. However, James Street and St. Christopher’s Place are often good starting points. Be sure to check with the Space Apart Hotel building manager to see if there are any coupons available, saving you money at the some of the restaurants in these areas. London is full of culture and history, so it is not surprising to see so many museums in the city, all offering completely different experiences. The British Museum is located in Bloomsbury and is dedicated to human history, art and culture; The Victoria and Albert Museum can be found in South Kensington and is the world’s largest museum for decorative arts and design; The Science Museum, also in South Kensington, is the home to scientific facts and demonstrations that are sure to engage your mind; and The Tate Modern Gallery, which can be found on Bankside, SE1 and is known for its international modern art. These attractions offer a good starting point when it comes to the most popular places to visit; landmarks and sites that really capture the essence of the city. London also has many events going on throughout the year. 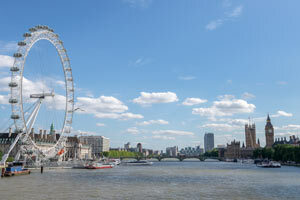 Check out our own ‘What to do in London’ guide for month specific events happening in the Capital.